In 1877, Thomas Edison, while working on improvements to his other inventions – the telephone and telegraph – invented a means for both making and playing back sound recordings using tinfoil-coated cylinders and two needles. The creation of the modern phonograph and the phonograph player developed from these inventions. By the time America entered the World War II, it would be fair to say that most American families possessed both radios and record players in their homes to provide entertainment. While the phonograph recording was a remarkable invention, it had a negative consequence: it replaced live musicians. Like many other technological advancements that replaced live labor, organized musicians had a virulent reaction to this. Certainly, if their performance was being recorded, they should receive residual payments each and every time their recording was played. This sentiment was the catalyst for two of the most significant strikes in the history of the American Federation of Musicians and organized labor in general. The outcome of these strikes has had a profound effect on the recording industry, recording technology and the creation of new styles of music. It even resulted in enactment of a section of the Taft Hartley Act that prohibited a union to cause an employer to remit to it anything of value for services that were not actually performed. 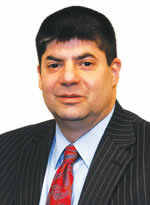 The prime catalyst for the recording strike was James Caesar Petrillo. He was larger than life, pugilistic, charismatic, and not afraid of a fight. He grew up in one of Chicago’s roughest ghettos and attempted to make a living playing the trumpet. Recognizing that there were significant limits to his talent, Petrillo decided to seek a career in union politics. In 1922, he became the president of AFM Local 10 in Chicago. At that time he noted jokingly, “If I was a good trumpet player I wouldn’t be here.” While he was not a strong trumpet player, he was in fact one of the strongest advocates for professional musicians the AFM has ever seen. Nowhere else in this mechanical age does the workman create the machine which destroys him, but that’s what happens to the musician when he plays for a recording. The iceman didn’t create the refrigerator. The coachman didn’t build the automobile. But the musician plays his music into a recorder and a short time later the radio station manager comes around and says, “Sorry, Joe, we’ve got all your stuff on records, so we don’t need you anymore.” And Joe’s out of a job. Record companies such as Columbia, RCA Victor and Decca saw huge profits due to the advent of new technologies and markets in the period prior to World War II. Radio, jukeboxes and movies all utilized recordings, but no additional payments were made to the musicians who performed on them. Unemployment amongst musicians became rampant. In order to curb the erosion of work, Petrillo first put pressure on radio stations. One of his ideas was to pressure DJs to physically destroy records after one play! Another ploy was to have certain records labeled for “Home Use Only.” However, such efforts proved futile as a result of a decision rendered in 1940 by the Supreme Court that held that artists’ property rights in their recorded work terminated once the record was sold. Thus, radio stations could not be barred from broadcasting recordings that they had purchased. As result of this decision, Petrillo was forced to negotiate with the recording industry itself. These efforts proved similarly fruitless. Therefore, Petrillo announced in July 1942 that at the stroke of midnight on Aug. 1, 1942, all recording would cease. The record companies believed that this threat was a bluff and that the U.S. government would prohibit a strike since the United States had just entered into World War II in December 1941. The record labels believed music was essential to keep up morale during the war effort. Public opinion at the time was also clearly against a recording ban. However, Petrillo’s resolve was firm, and he refused to yield. When it became evident that the AFM was not going to back down, the record companies began to stockpile new recordings of some of their biggest artists. On Aug. 1, 1942, after obtaining union membership approval, Petrillo ordered that no union member accept employment on any recording job from that day forward. On that day Downbeat Magazine reported, “From today on there will be no recording of music, classical or jazz in the country by union musicians.…Petrillo has not backed down by his claim that recording was ruining the jobs of 60 percent of the AFM membership and that he meant to do something about it.” Musicians were still permitted to perform live on the radio provided that no recordings were made of the performance. As the strike progressed, limited recordings (called Victory Discs, or V-Discs) could be made solely for servicemen, as long as they weren’t distributed commercially. The Department of Justice attempted to obtain an injunction prohibiting the AFM from continuing the ban. A federal suit was brought by the DOJ under antitrust statutes. The suit was dismissed in October 1942 on the grounds that the parties were involved in a labor dispute and that injunctive relief was barred by the Norris-LaGuardia Anti-Injunction Act. This decision was sustained by the Supreme Court in February 1943. The AFM was also put under the scrutiny of the Senate Interstate Commerce Committee, making the AFM one of the first labor organizations in the United States to be investigated by Congress. When he appeared before the Committee in January 1943, Petrillo for the first time announced the AFM’s desire to negotiate acceptable terms with the recording industry. In February 1943, the AFM presented the recording industry with a proposal through which musicians would return to recording provided that a fixed royalty was paid by the record manufacturer to the union. The royalty would then be distributed to unemployed musicians. Petrillo’s approach was a novel one as it requested employers to share responsibility for the unemployment caused by new technology. The recording industry summarily rejected this proposal since it refused to contribute to a fund that could be used at the AFM’s sole discretion. It requested that the National War Labor Board render a decision requiring the musicians to return to work. Ironically, when the National War Labor Board commenced hearings on July 9, 1943 to determine whether the recording ban was within its jurisdiction, the AFM took the position that the matter did not actually involve a labor dispute, contrary to the position it took before the federal court. This can only be attributed to crafty lawyering on the part of the AFM’s general counsel. After many months of hearings on this issue in 1943, the NWLB ultimately issued a back-to-work order. Petrillo, with the approval of the AFM’s International Executive Board, however, ignored this directive partially because a settlement was looming at that time with the major record companies. 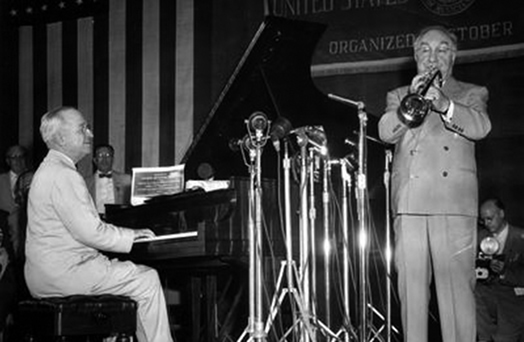 Petrillo even defied President Roosevelt’s request in October 1944, in which the President invoked Petrillo’s patriotic and good citizenship obligations, that he direct the musicians to return to work. Former President Harry Truman accompanies AFM President Jimmy Petrillo at the 1954 AFM convention. Petrillo’s influence at the time is hard to overstate. During the course of the strike, record labels released the stockpiled recordings they had amassed in the period prior to the strike and even re-released popular recordings they had previously sold. Smaller labels like Decca, which could not stockpile a large amount of recordings, found it impossible to survive the protracted strike without the ability to release new material. While the NWLB hearings were ongoing, Decca broke ranks with the other labels and agreed to Petrillo’s royalty proposal. RCA and Columbia, the two major labels without a contract at the time, were compelled to agree to make royalty payments, as the signatory record labels were gaining larger market share. By Nov. 11, 1944, all record companies had signed agreements with the AFM that required direct royalty payments to the union. The strike was over – and it was an overwhelming success. Ultimately, the strike was settled with the creation of the Recording and Transcription Fund, which at its height had over 600 contributing employers paying varying amounts dependent upon the sale price of the recording. During the years that it existed, the fund collected approximately $4.5 million and ultimately paid wages to 45,000 musicians. The funds were controlled entirely by the AFM, but were used to provide free live music in parks, schools, hospitals and nursing homes. Monies were also disbursed to unemployed musicians who were members in good standing in their local. However, the legislature, fearful of the AFM’s unbridled use of the significant sums of money it was collecting from the record labels, took steps to curtail the union’s discretionary use of it. 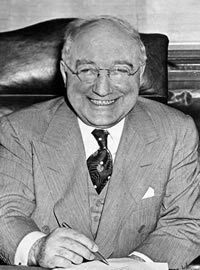 In 1947, the Taft Hartley Act was enacted. It contained a provision, Section 302, which criminalized a union’s collection of money directly from employers “for services that are not performed or not to be performed.” Thus, the Taft Hartley Act rendered the recording fund illegal, and it had to be dissolved. Coincidentally, in 1948, the popularity of network TV revitalized the royalty issue since the networks were using recorded music without paying any royalties. At the stroke of midnight on New Year’s Eve, 1947 unionized musicians were again directed by Petrillo to cease making recordings. This strike lasted only a year. To settle it, a new jointly-administered labor-management “trust fund” was created in accordance with the requirements of Section 302 of the Taft Hartley Act, which allows for the creation of such funds. The networks and the recording label all became participants in this fund, the Recording Musicians Performance Trust Fund, which still exists (under a slightly different name) and performs the same basic functions as the disbanded fund. See www.musicpf.org. The significance of these strikes for musicians and the recording industry as a whole cannot be overemphasized. The impact of the Music Performance Trust Fund (as it’s known today) is felt throughout the country today, some 80 years after its creation. The fund still subsidizes free educational concerts throughout the country. However, the strike had a profound impact on music as well. As a result of a lack of instrumental recordings, vocal-based recordings became prominent and the rise of the pop star era began. Prior to the strike, big bands and swing music were extremely popular throughout the country. However, the lack of recordings of these bands during the height of the swing era ultimately contributed to their demise and eventual replacement by singers such as Frank Sinatra and Bing Crosby. One would be very hard pressed to name any other strikes that have had so prominent an effect on pop culture and how we listen to and pay for music today as the AFM recording strikes of 1942-44 and 1948. Musicians throughout this country owe a huge debt to James Petrillo.